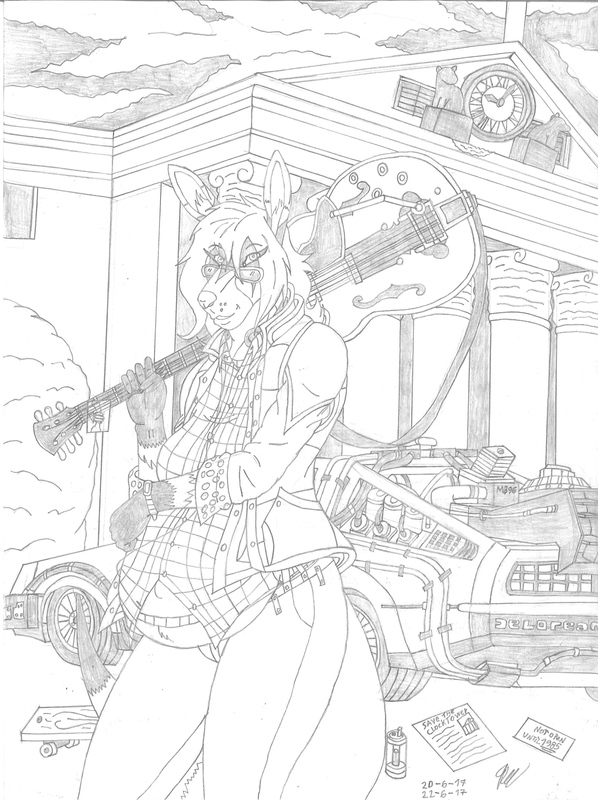 For some time I have always wanted to make a parody of my favorite saga of science fiction films: Back to the Future. Of course, I know they asked me why I did it this way, that is, putting a female protagonist and very rounded gestation. Because … it is simple, once imagine what would happen if a woman on tape went up in the Delorean and travel to a period of history of their preference or in the simplest way, to fix some mistake of their past. I just hope that the female version of Marty Mcfly just stays here and that Universal Studios will never think of doing a reboot with those versions (or better, a Ghostbusters 2.0). Back To The Future (1985) by © Robert Zemeckis, Bob Gale, Steven Spielberg, & Universal Studios. Desde hace tiempo siempre he querido hacer una parodia de mi saga favorita de peliculas de ciencia ficcion: Regreso al Futuro. claro, se que me preguntaran porque la hice de esta manera, es decir, poniendo a una protagonista femenina y de muy redondeada de gestacion. pues… es sencillo, una vez imagine que pasaria si una mujer en cinta se subiera en el Delorean y viajase a un periodo de la historia de su preferencia o de la manera mas simple, arreglar algun error de su pasado. solo espero que la version femenina de Marty Mcfly solo se quede aqui y que Universal Studios nunca se le ocurra hacer un reboot con dichas versiones (o mejor dicho, un Cazafantasmas 2.0).